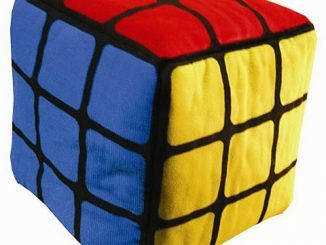 I knew this guy in college who could take any scrambled up Rubik’s cube and solve it in a matter of minutes, sometimes, even seconds. 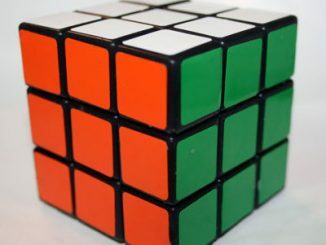 He taught me the techniques and all that, but my Rubik’s solving time still stands at somewhere around the five minute mark (pretty pathetic, I know.) 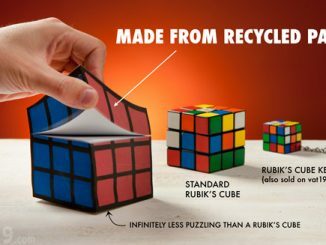 That doesn’t stop me from being a fan and wanting to keep my money and loose change in the Rubik’s Cube Money Box. 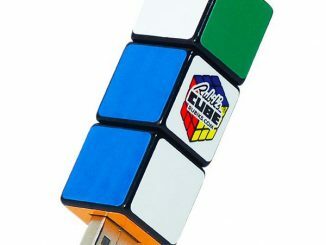 The Rubik’s Cube Money Box was probably born from the imagination of people who are huge fans of the cube itself. 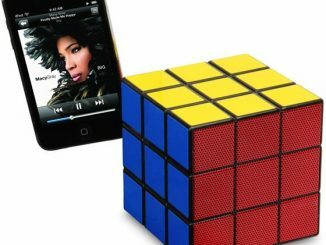 Display your geekiness proudly and loudly with this money box that looks like a Rubik cube that’s already been solved. 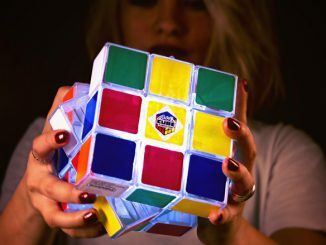 Do you remember the frustration you felt as a child when you tried to solve the Rubik’s Cube? 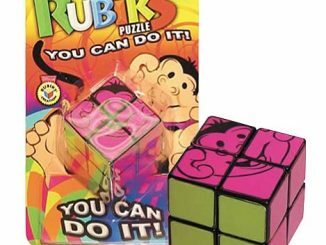 Some were clever and could twist the cube to perfection with authority. 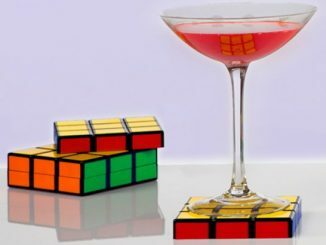 Others were less savvy but still creative. Maybe they were caught sheepishly peeling the stickers off and reapplying them when they thought the door was locked. 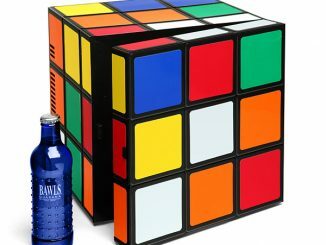 If you could solve the classic Rubik’s puzzle you’re clever enough to know that we should all be saving for a rainy day. 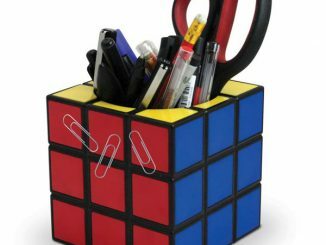 This stylish money box is definitely the coolest way to do it. 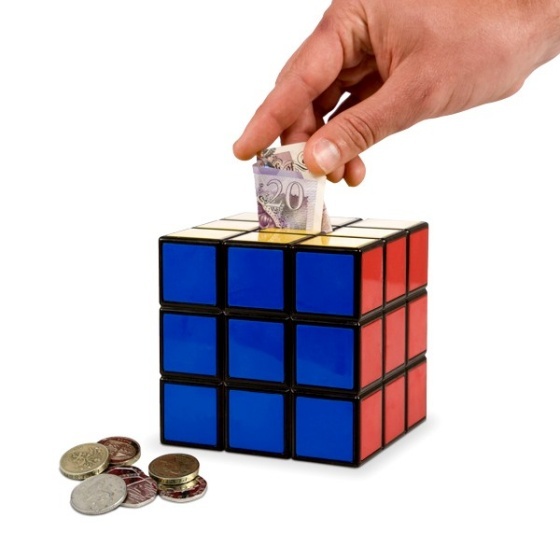 Thankfully it’s no puzzle getting the money out! Measures approx. 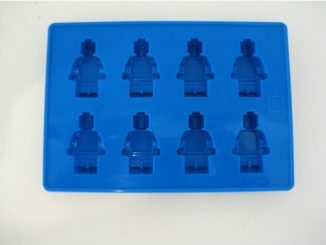 10cm x 10cm x 10cm.